Picked up this little jewel this morning in south Alabama. The original owner of the company--a really nice guy--had one left over from his manufacturing days with minor gel coat blems that you have to look hard to notice. I have it on my Carolina Skiff trailer, so it looks tiny. It's actually 11 ft long and 64" wide. At 330 lbs actual weight, it's a bit heavier than I wanted, but still less than a Whaler of the same size. 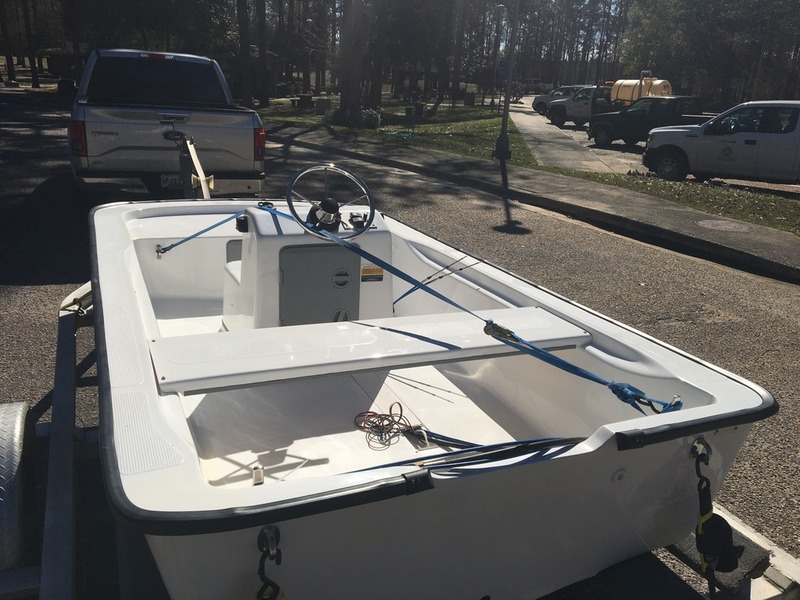 A Suzuki 20 goes on the transom and we'll be ready to get into some skinny water. Very cool!! Who was the manufacturer? They used to be manufactured by a company called Watercats. 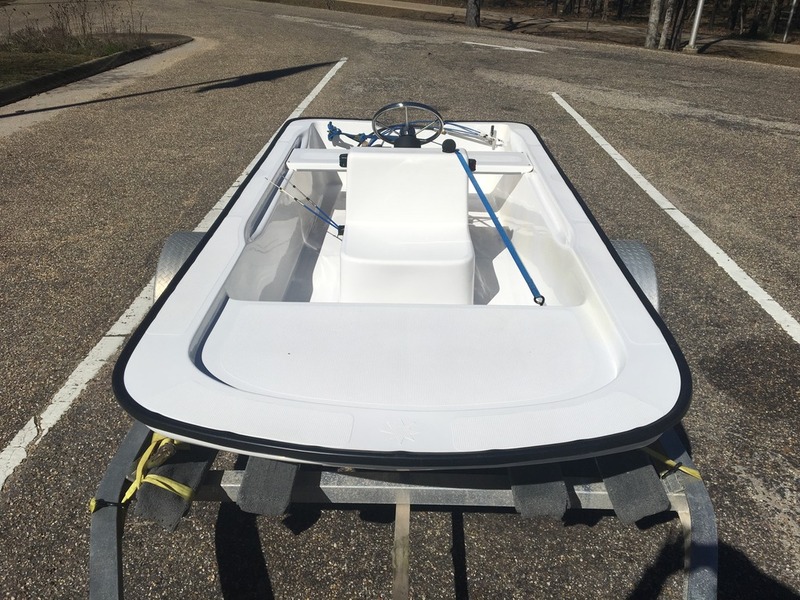 The business was sold recently to a concern in Delaware, which is reportedly building them to an even higher standard: Bluewater Baby – Your boating adventure awaits! You're gonna have a lot of fun with that. We have a pair of 13' Boston Whalers, one in WA and one in AZ that we pay with. It definitely is fun to be able to sneak around in shallower water.